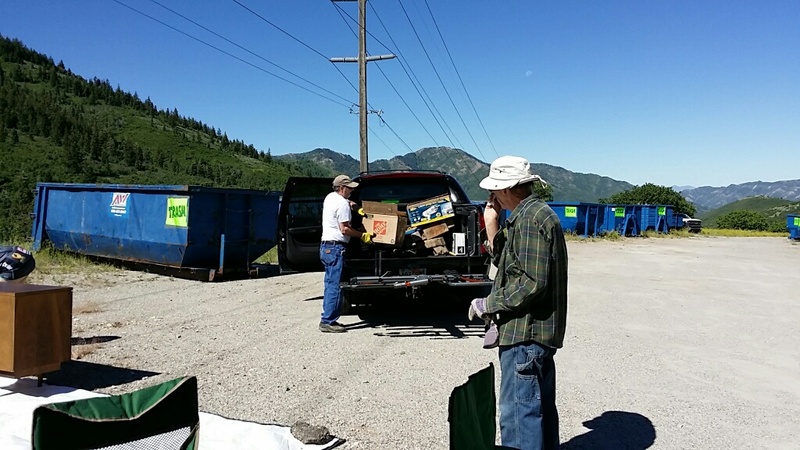 Dumpster Days is the annual neighborhood cleanup organized by the Summit Park Housing Association (SPHA). Members who have paid their annual dues are welcome to dump up to 2 loads in the dumpsters.The SPHA arranges to have dumpsters available for use just above the firehouse on the Crestview Drive/Maple Drive intersection. This year’s Firewise event will take place later in the fall, so we will not have any events happening near On Top Roofing. More info to come on the event! For now, read below to learn what you can bring. If you have something that you think could be reused but that you no longer want around your house, bring it by Dumpster Days. We have a FREE “gently used” section, any member is welcome to peruse the goods and take anything of interest. If no one takes your gently used stuff, it is your responsibility to load it into the dumpsters. Please do not leave it for the volunteers to clean up.